How to choose video resolution / profile? Most IP Cameras can capture video at multiple resolutions, such as 640x480, 3 megapixels and etc. 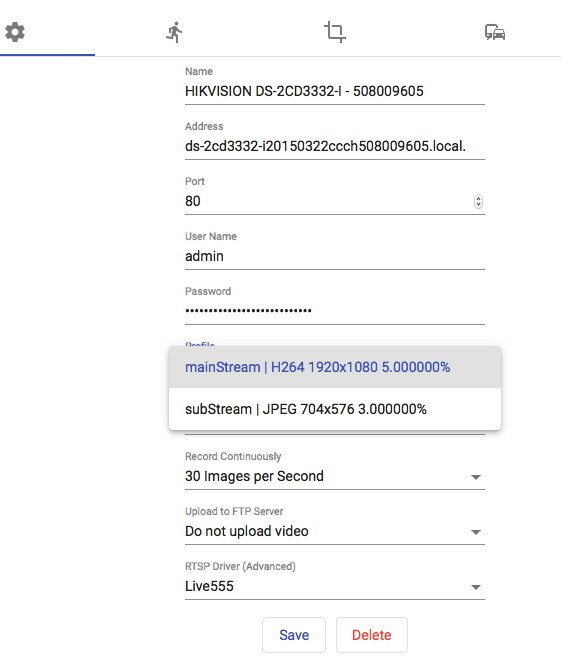 Video could be compressed using JPEG or H264. Larger video improves quality, but increases CPU and disk utilization. Depending on the model of your camera, try these options to select best video resolution for your usage cases. In order to see more resolution and codec choices, visit the camera web page using Safari or Chrome app. Each camera model is different. 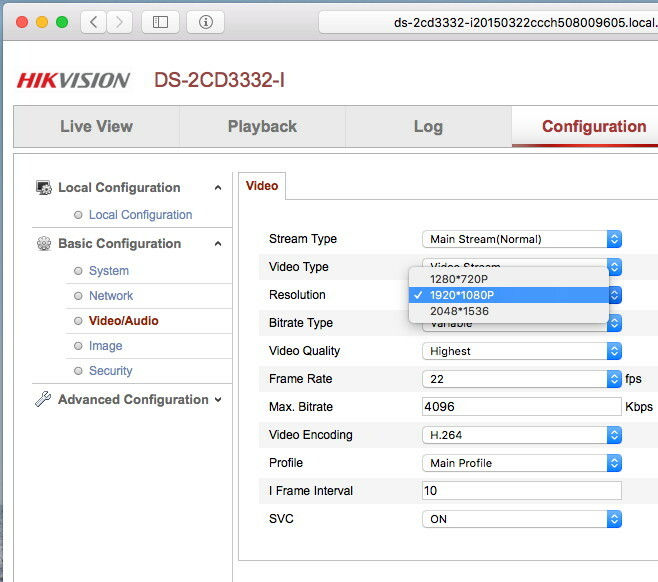 Look for Video Configuration section or similar. For example: this camera allows not only choosing video resolution, but also Framerate and Bitrate. In most cases, frame rates higher than 7 and bitrates higher than 1 Megabit per second are not improving video quality significantly, but still increase CPU and disk usage.